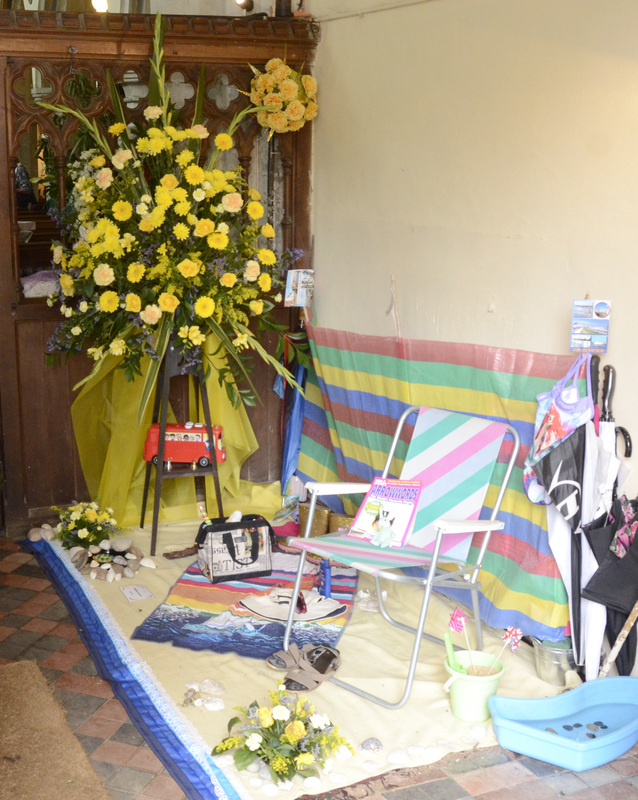 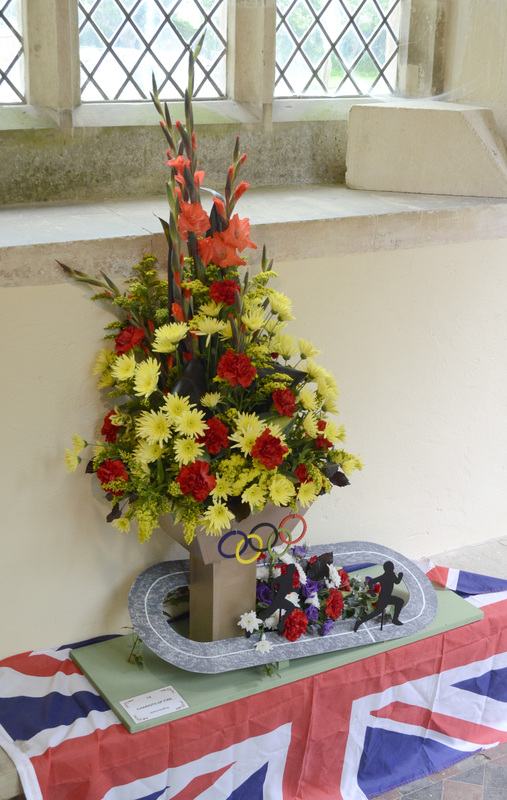 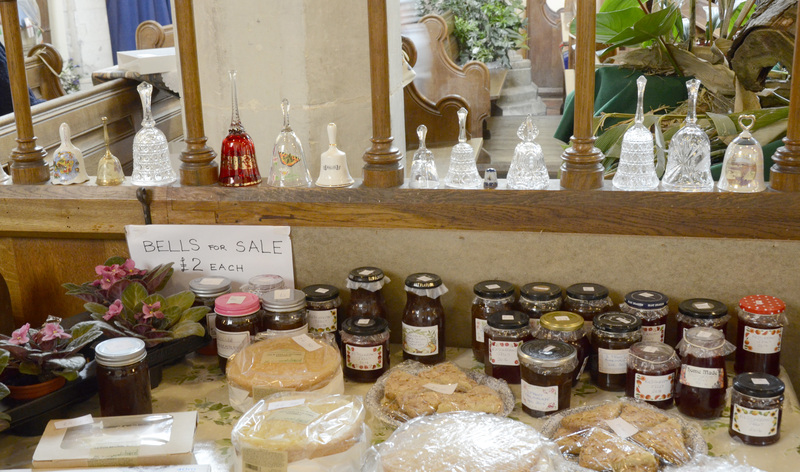 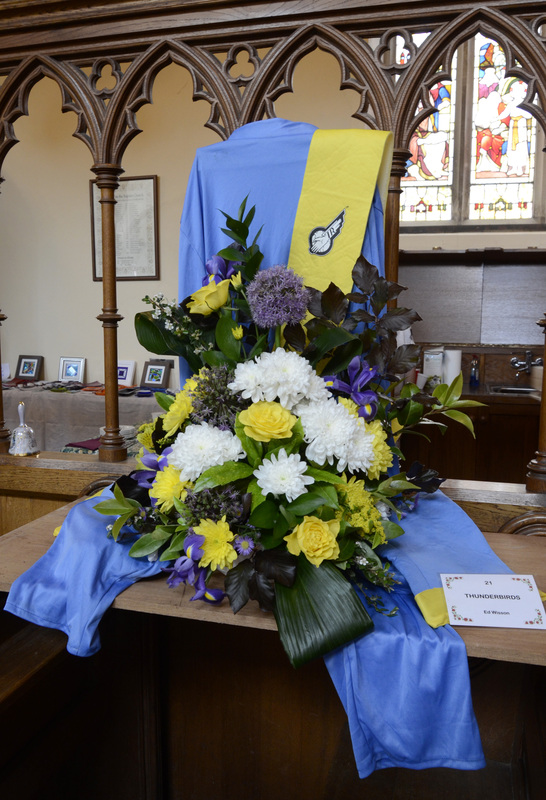 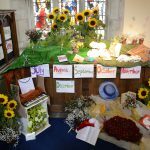 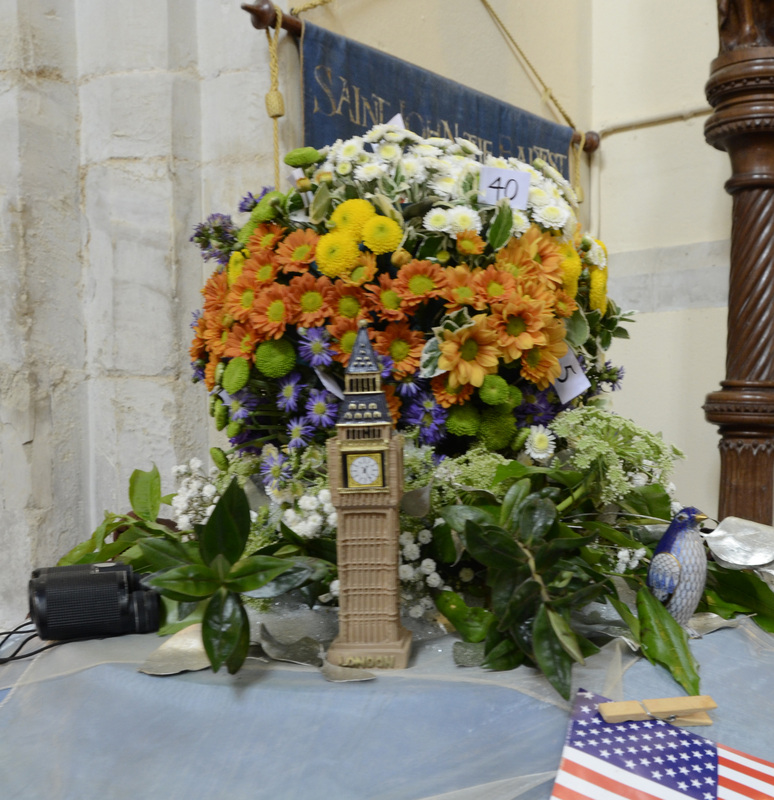 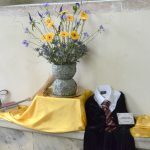 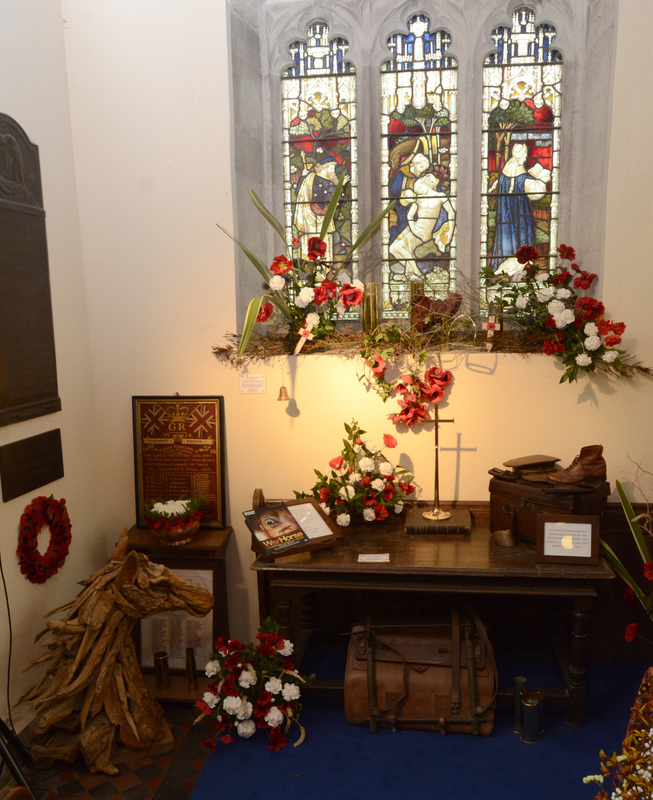 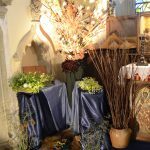 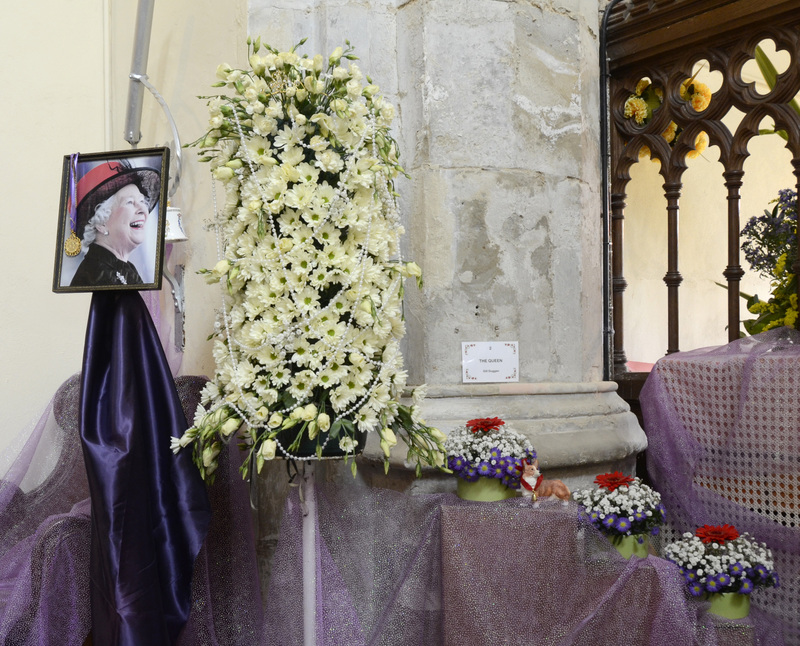 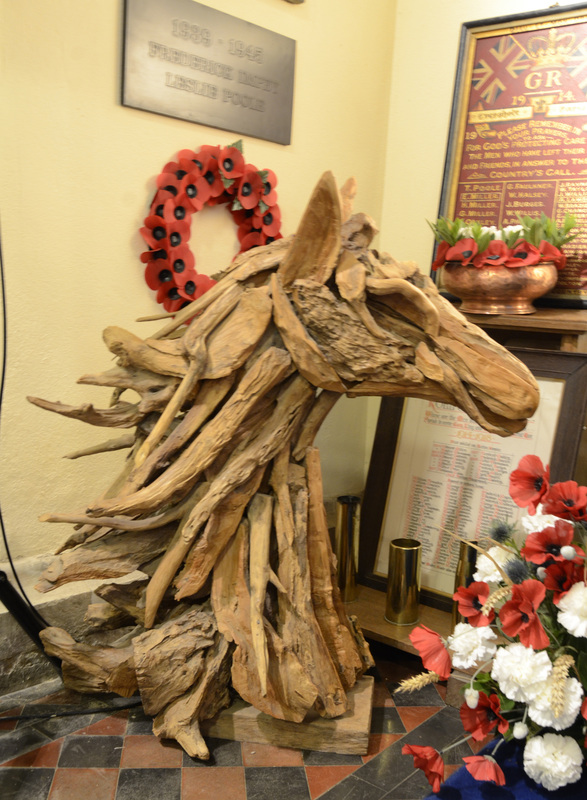 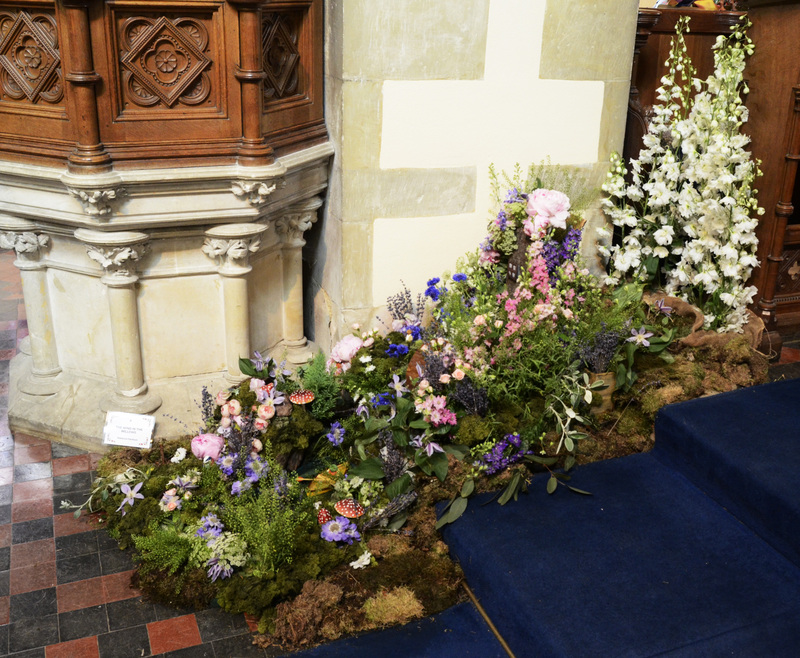 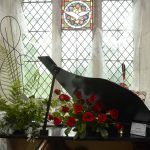 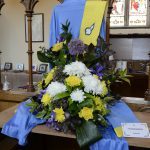 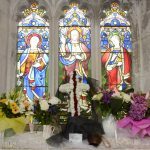 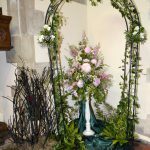 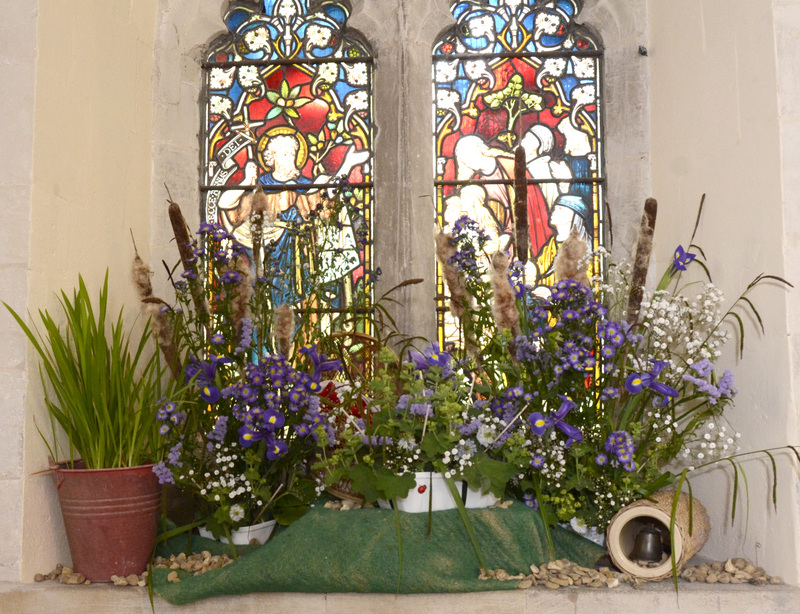 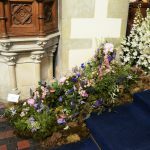 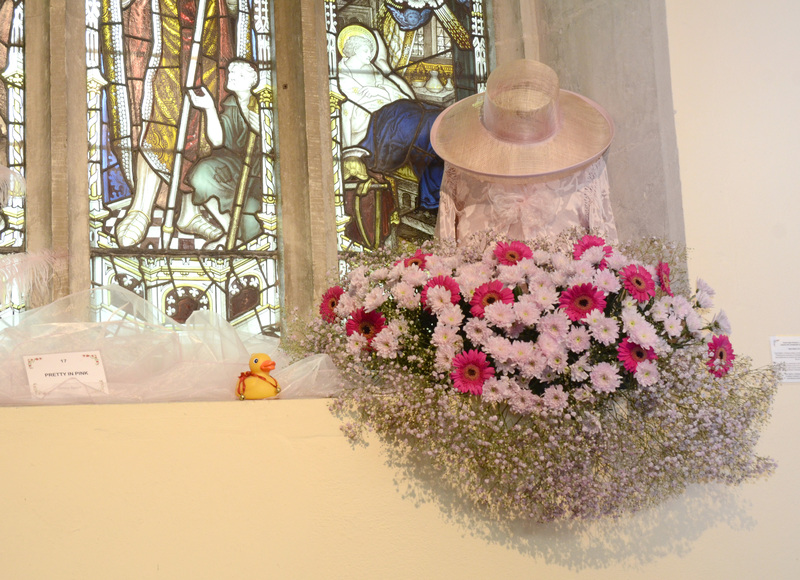 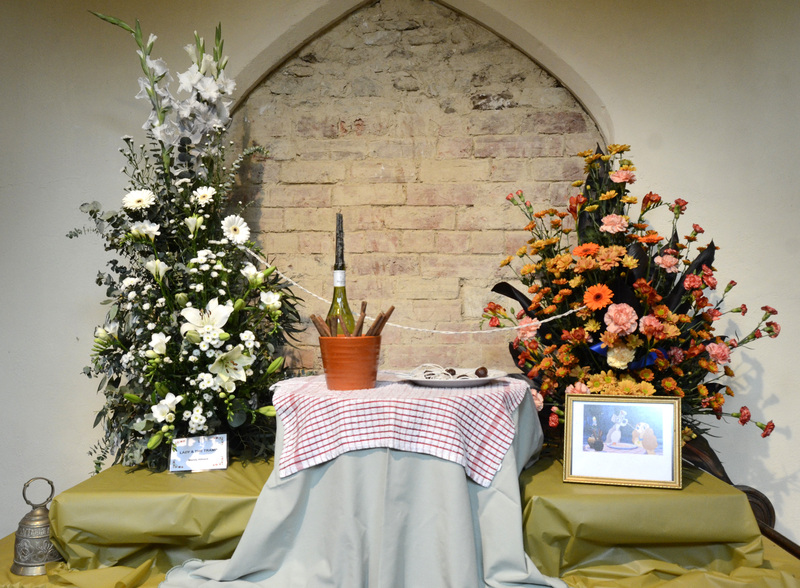 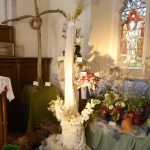 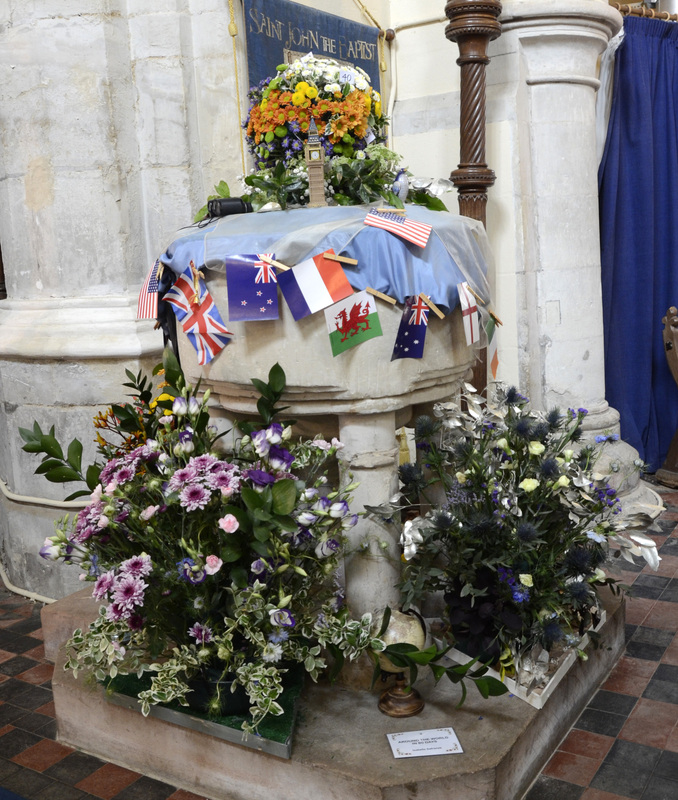 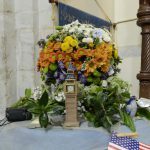 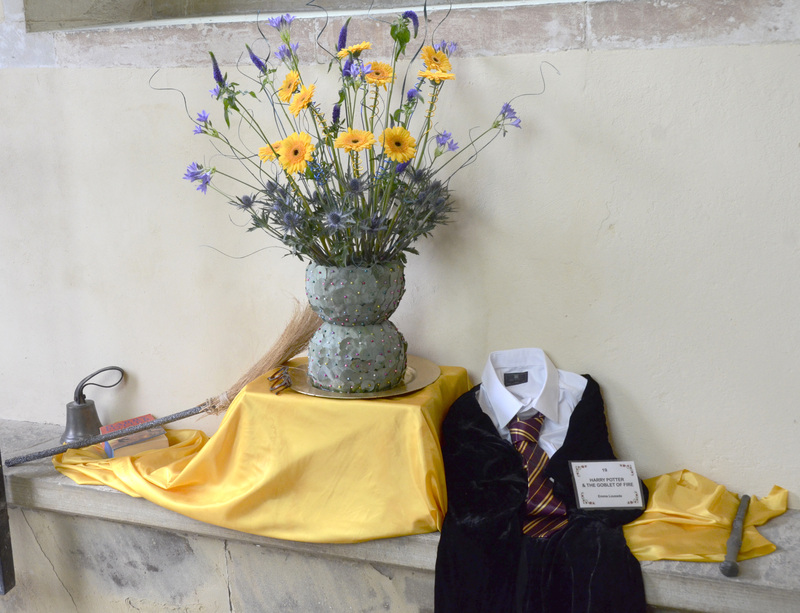 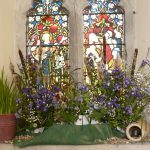 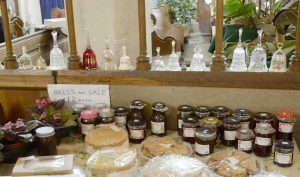 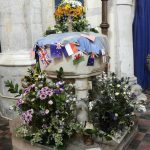 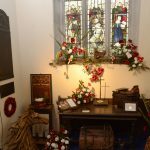 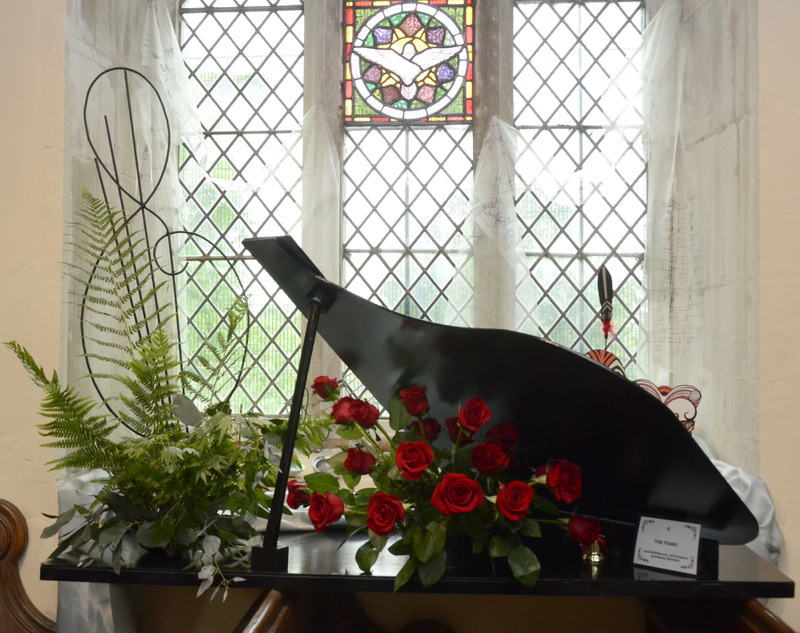 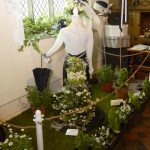 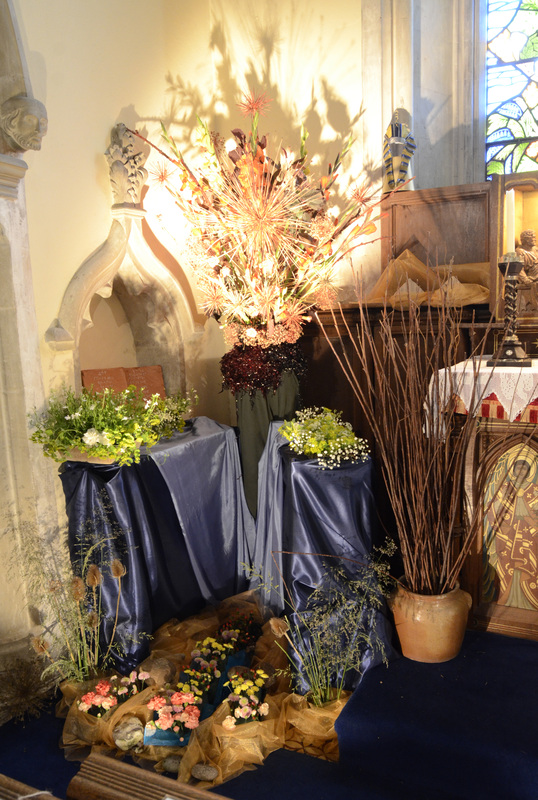 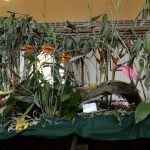 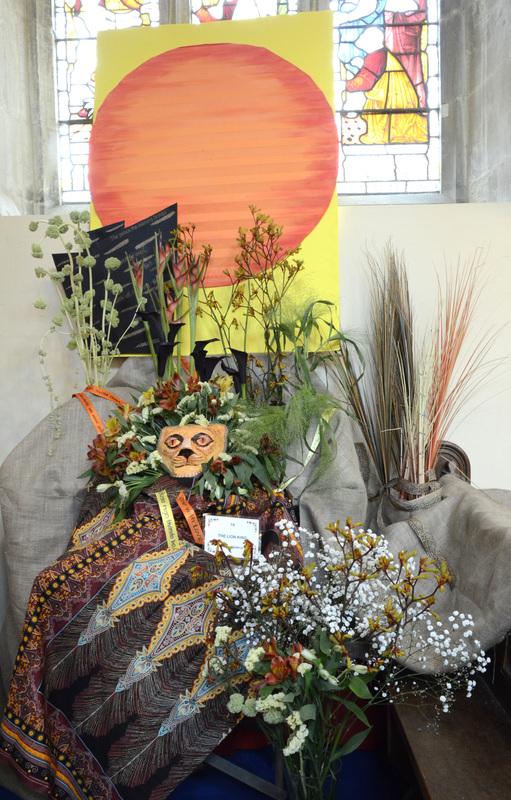 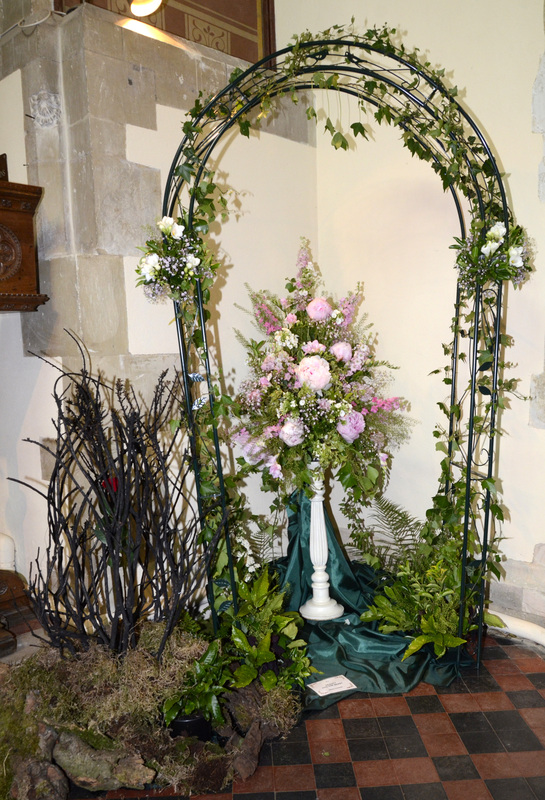 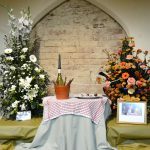 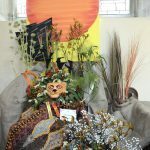 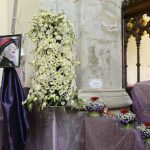 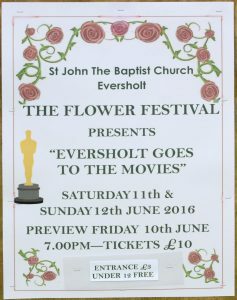 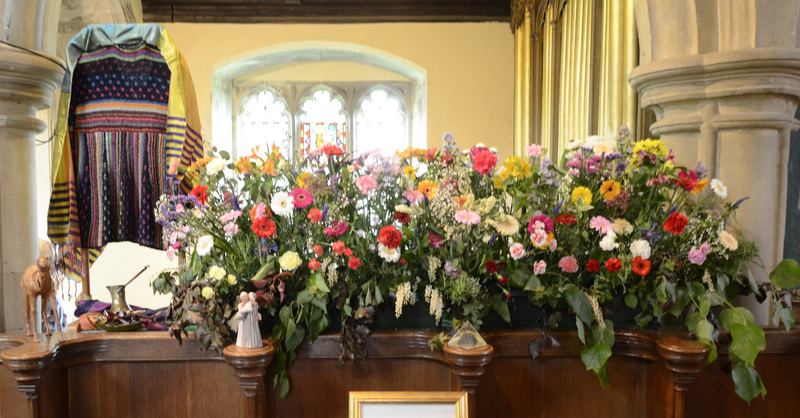 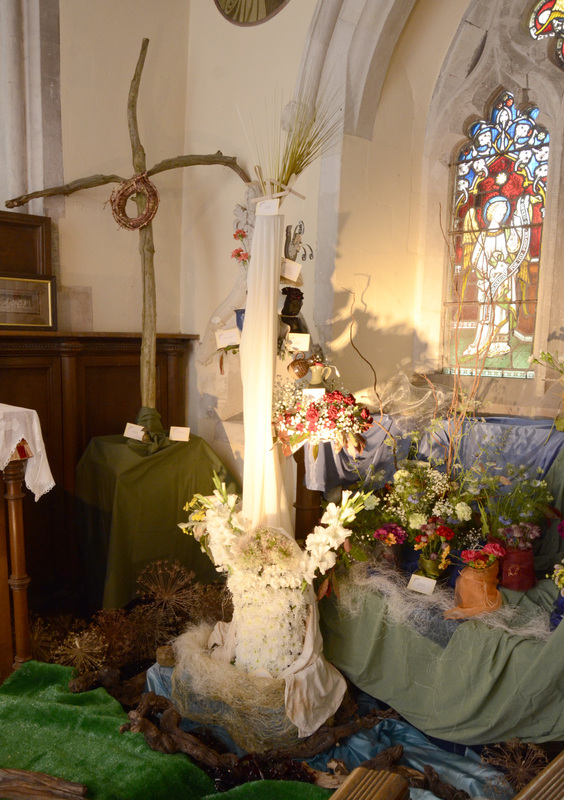 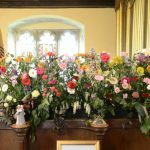 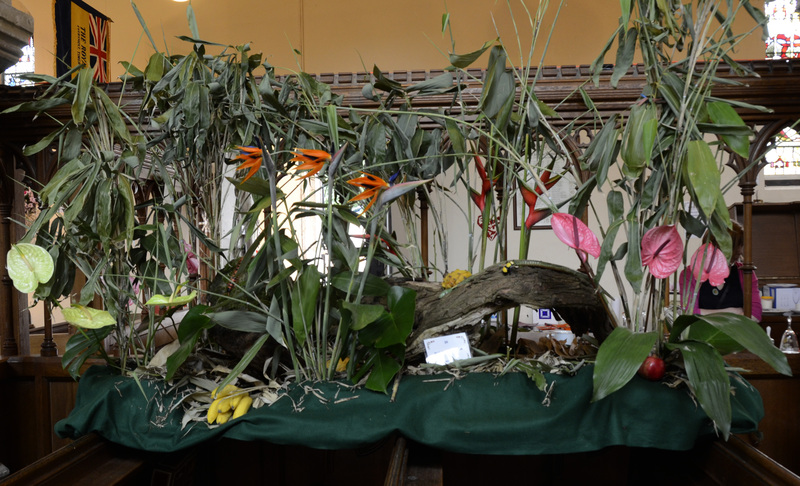 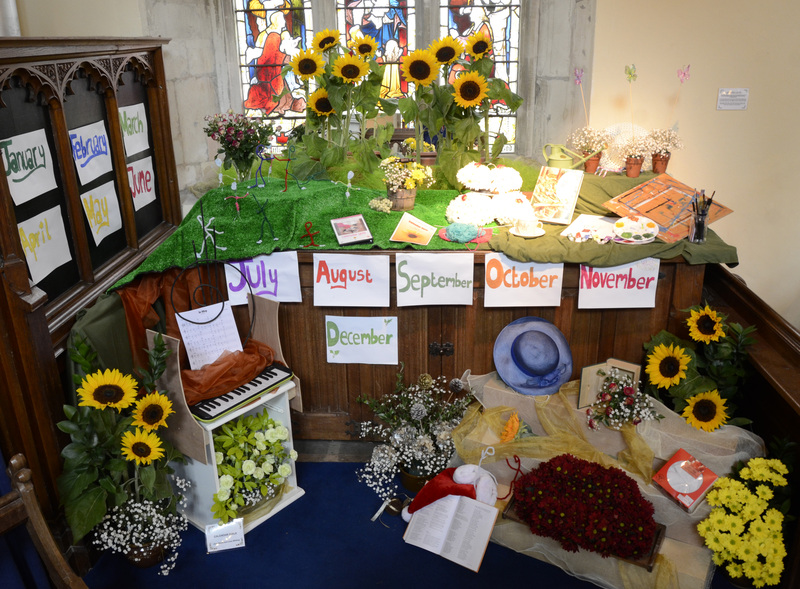 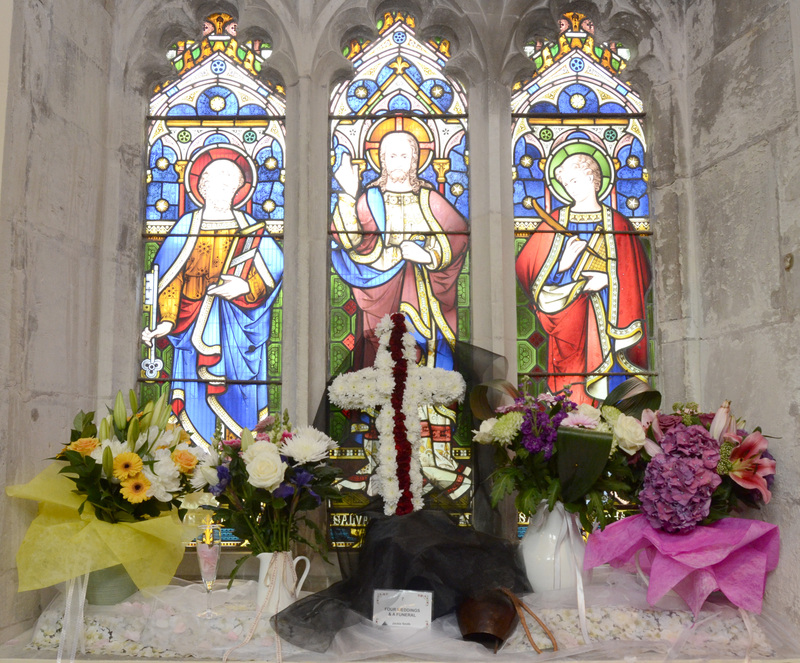 The 2016 Flower Festival was held to help raise money to refurbish the church bells. 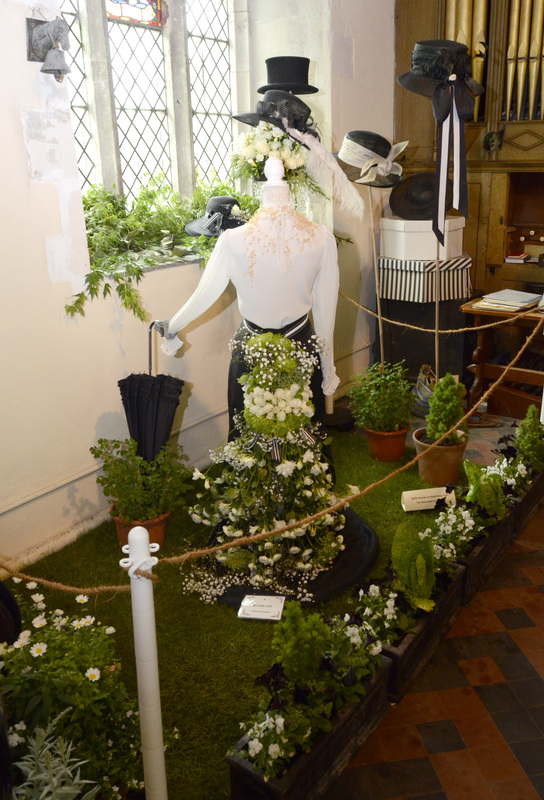 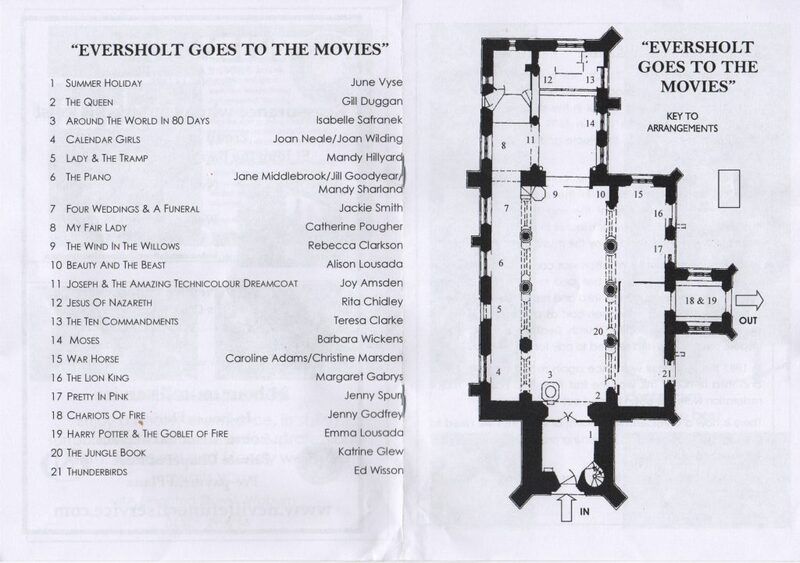 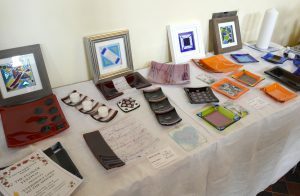 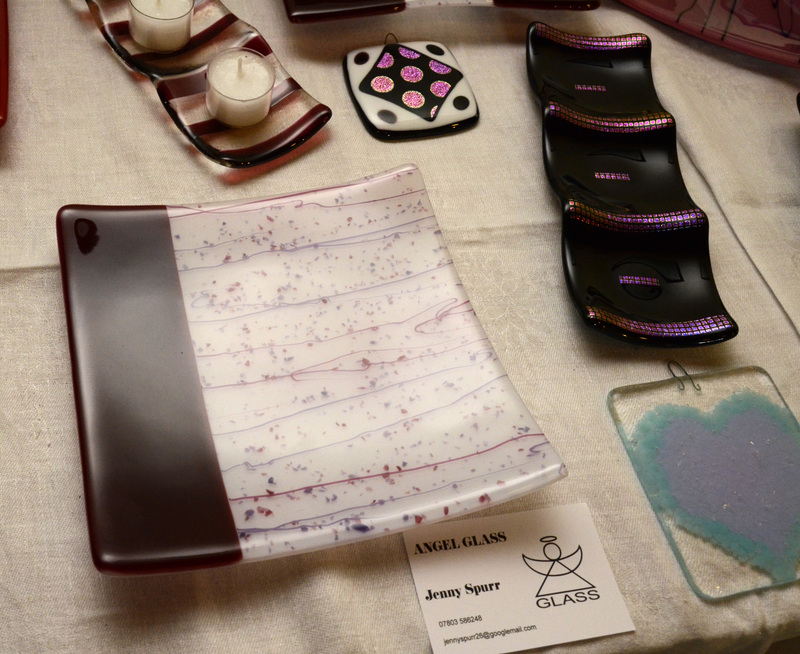 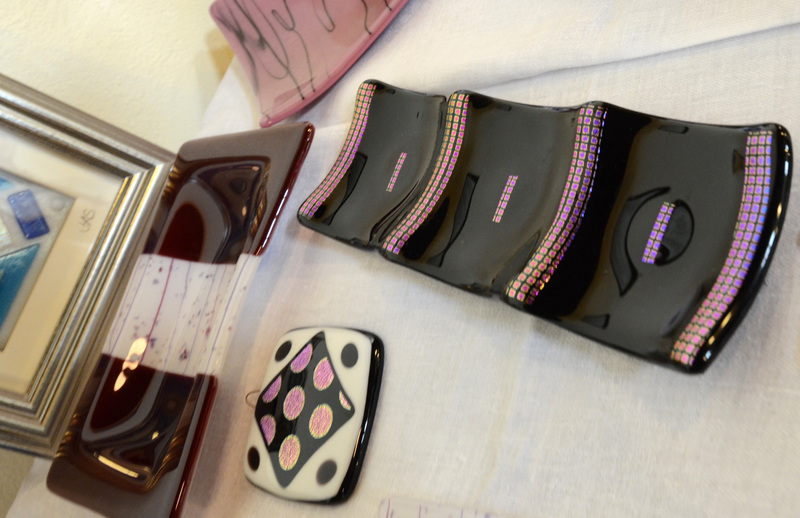 Each display was based on a movie title. 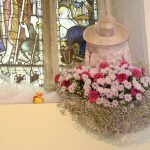 Can you work out which is which? 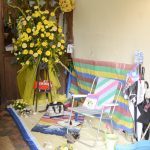 There’s a key at the end to sort them all out. 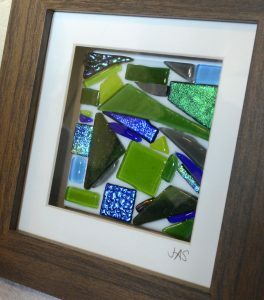 Click on the images below to see a full-resolution version. 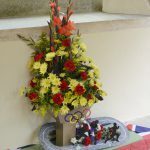 You can copy and republish any of the pictures on this page under a CC-BY-SA-4.0 licence, meaning you have to (a) credit Emrys Williams as the photographer and (b) allow others to reuse your work under the same CC-BY-SA licence. You don’t have to ask permission, just go ahead. 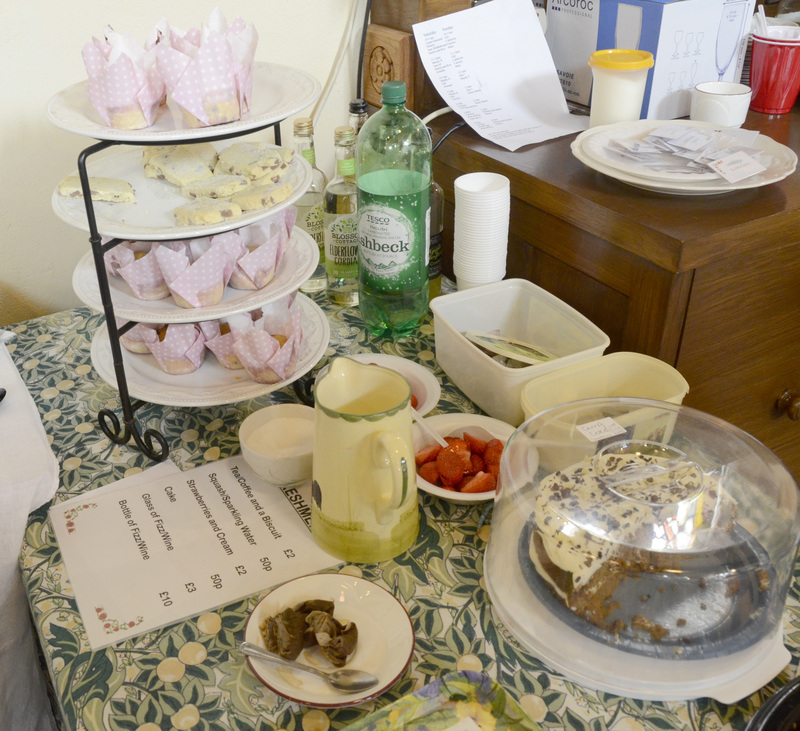 It wouldn’t be right without cake! 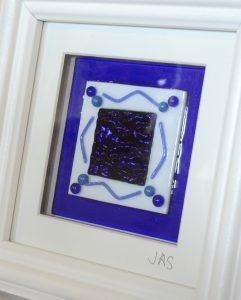 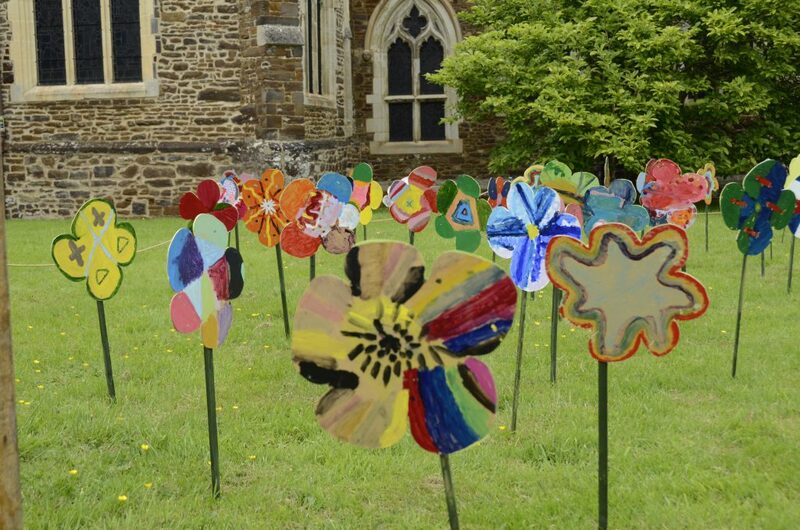 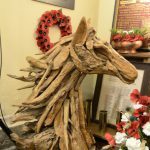 Outside there was a festival of poppies made by children from Eversholt school.